I really appreciate how Free People has evolved into a full on lifestyle brand with the range of accessories and home items they now offer. 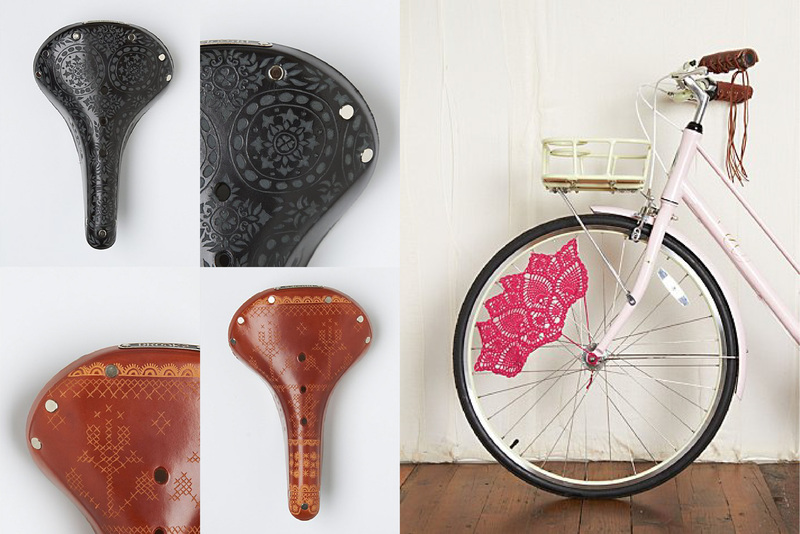 Amongst the beautiful finds are these crafted bicycle seats from Brooks x Kara Ginther and a daintily applied crochet guard for your spokes. Cycling has never looked so sweet. I love that crochet spoke guard, it’s so pretty!